Two for one! What’s amazing here is that they didn’t tear each other up! 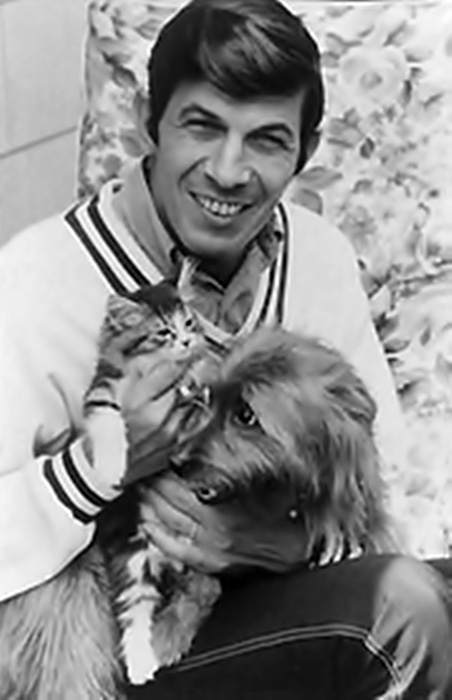 Did you know that Nimoy had his own Pet Shop in 1970?! It’s true! I’ll post about it soon. 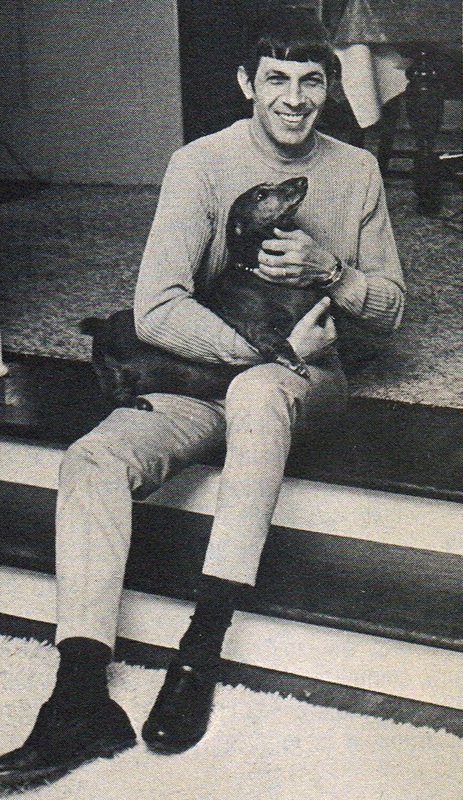 Mr. Nimoy loves pets, so it’s Pet Week! 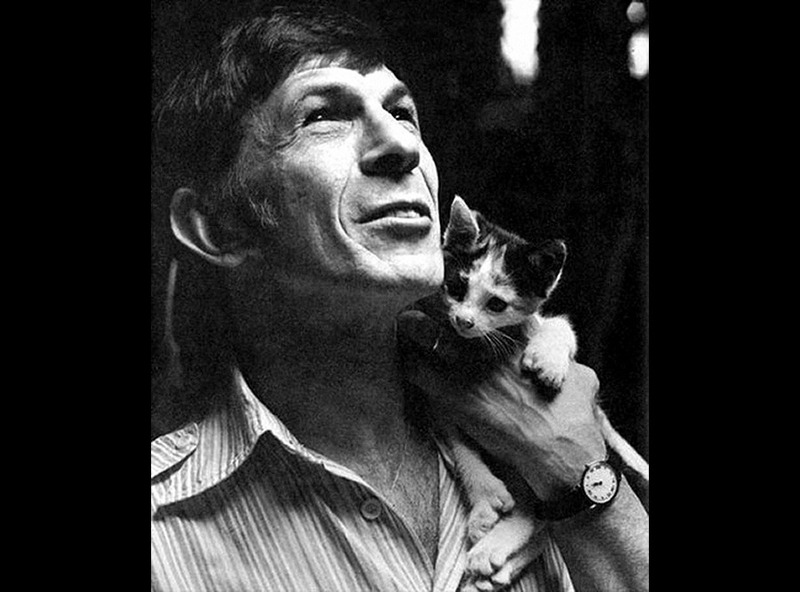 And any man who poses with sweet kittens is okay in my book! As you’re reading this, I’m in NYC, be back tonight! 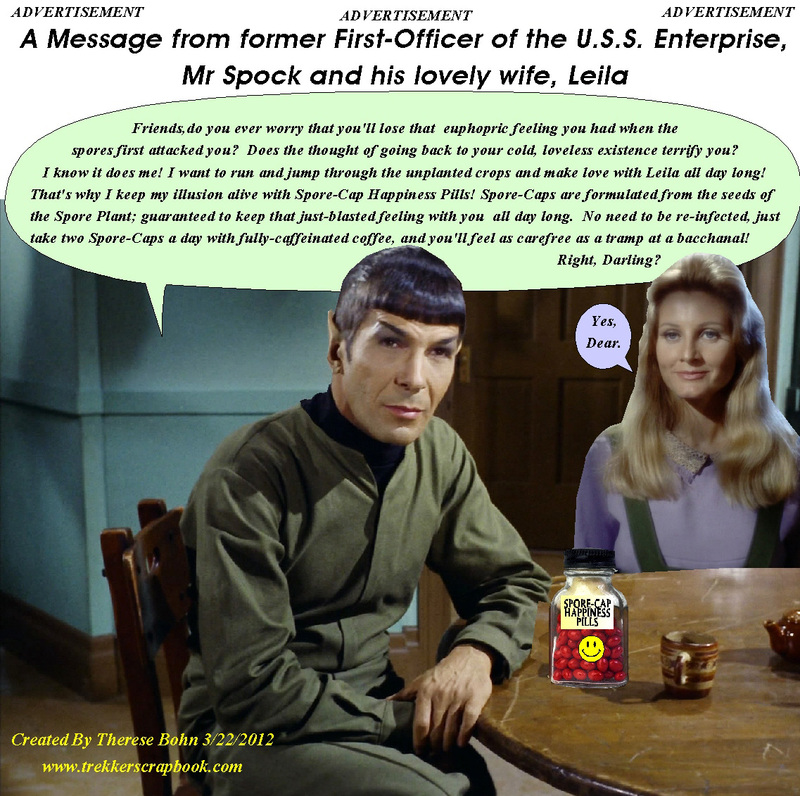 My Daily Spock Special Edition! 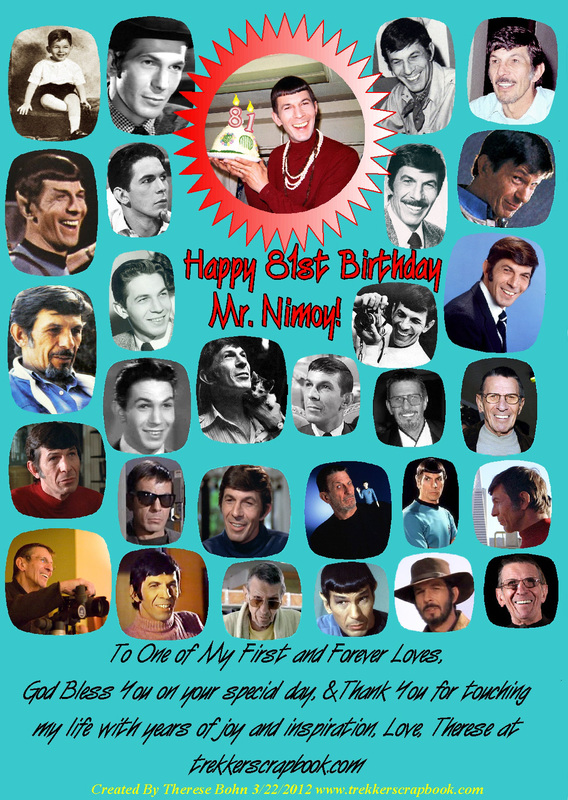 3/26/2012 Happy Birthday Leonard Nimoy! HAPPY BIRTHDAY TO THE KING OF COOL! 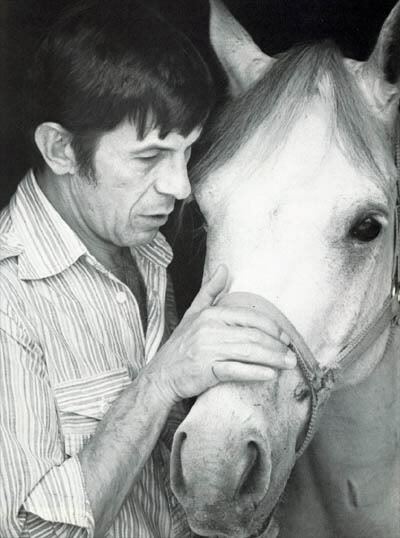 I twittered a copy of this to Mister Nimoy– I wonder if he ever saw it? I hope so! Note how 36 year old Leonard has miraculously time traveled from the ’60’s to give 81 year old Leonard a special Hobbit Hole cake! 😉 Dig those swinging beads, baby!